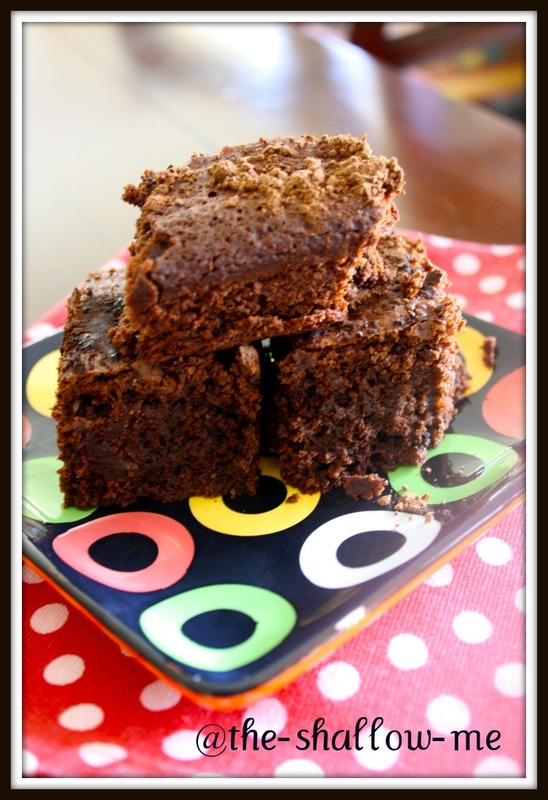 This is an easy gluten-free chocolate brownie recipe that takes no time at all to prepare. 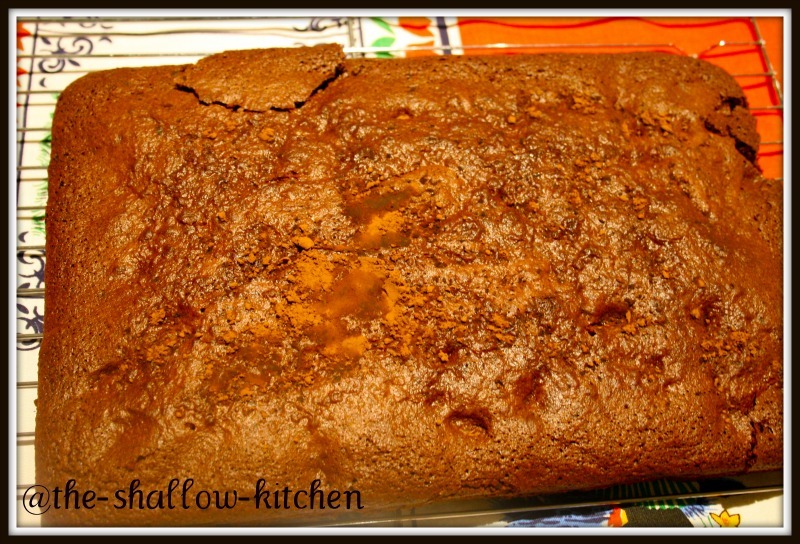 Normally, I don’t really like brownie because it’s too sweet for my taste. But this recipe is good and the fact that it uses 70% dark chocolate make it irresistible. Pre-heat oven to 190 degree celsius. Line 23 cm by 23 cm lamington/brownie tin with baking paper. 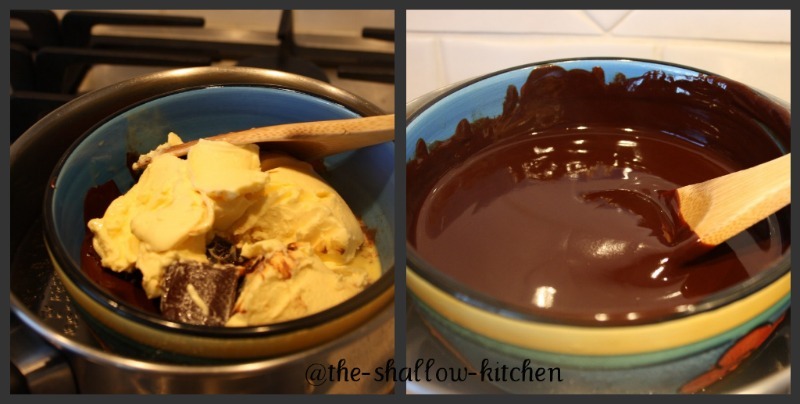 Melt chocolate and butter together in a bowl over a pot of simmering water. Whisk sugar and eggs together until doubled in volume. Then add melted chocolate and mix well. Sift rice flour and bicarb, add to chocolate mix with almond meal and macadamia. Fold together. Pour into prepared tin and bake for 15 minutes, then lower temperature to 170 degree and bake a further 10 minutes. Cool in tin. Slice to desired size when cool. Serve dusted with cocoa. I called this ‘black’s brownies’ for I’ve got the recipe from my friend Mrs. Nur Black :p It’s very easy to make, don’t even need an electric mixer…it’s perfect for an afternoon tea. Pre-heat oven 150 celcius. Line baking tray with baking paper. Cook dark chocolate, butter, and water until just smooth. Add caster sugar, stir. Take out the mixture from the stove then add eggs, vanilla essence, flour, combine. Add white chocolate and nuts. Bake 30 minutes or until the brownies is firm. Cool it down. You can put it in the fridge before you cut the brownies into pieces. this is another easy cake to make, taste delicious and not too rich or too sweet. great company for cuppa time…. Cut the apple into thin slices. Arrange the first layer of apples to the buttered dish. Meanwhile using electric mixer, mix the eggs, sugar, and butter for about 3 minutes. Add the flour, milk and baking powder. Mixing them all very slowly. Pour the mixture onto the dish then another layer of apples, sprinkle with sugar and cinnamon, and the mixture, top with another layer of apples. Bake for about 40 minutes at 180 celcius. 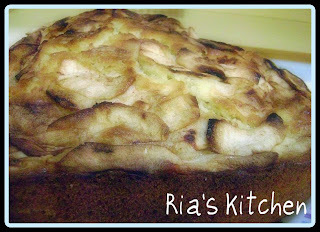 note: the apple cake in the photo I baked it for a bit too long, that’s why it’s burnt a bit on the side. 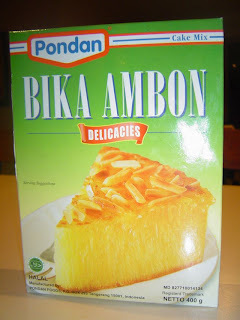 Bika Ambon is Indonesian delicacy. It has special texture and tastes sweet but not sugary sweet. I cheat this time, I make it from the package. Only need to add 6 eggs, butter, and coconut milk. But, I think the Pondan one is the best. It tastes really delicious and it’s very easy to make. Good one with a cuppa! blend cocoa with a little water to make smooth paste. place in a saucepan with the rest of water, butter, sugar and soda. stir over medium heat until butter melts. allow to cool. add eggs and vanilla and beat well. sift in flour. bake in moderate oven for 40-50 minutes. allow to cool 5 minutes before turning out. 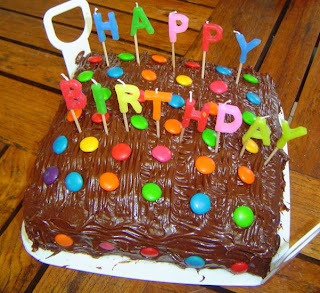 let the cake really cool before you put the icing. This is another easy dessert to make for your cuppa in the afternoon…. Grease 2 tins, paper the ends. Bake in 180 cel for 1/2 hour. Allow to cool for 10 minutes before turning out. Melt butter and add to all ingredients in bowl. Beat for 3 minutes with electric beat. Put in the square tin or cup, then bake until it golden about 6 minutes. 1 1/2 cups of hot water and add 4 or 5 ice cubes to make it cool quickly. Put the jelly in the fridge to set. Should be soft enough to dun the cake, just a bit thick. Beat all of them together with electric beat until thick and nice to spread, should be creamy enough. 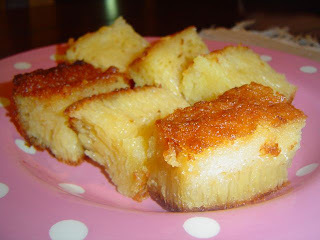 Once the cake cook, dunk each of them into the jelly and roll on dessicated coconut and set aside. Spread the cream later on.